Bali is a breathtaking destination with a perfect combination of beautiful beaches, rich culture and friendly people. We have created some unforgettable itineraries for our clients to this island, also called the Island of Gods and are now able to offer some of the best villas in Bali for your stay in paradise. Vacation rentals can be the perfect choice when traveling with family, friends or any bigger group and we also have properties which would be a very romantic option for a wedding party or a honeymoon. Wouldn’t you love to wake up in the morning and walk out into your own private garden, sit by the pool and sip a nice cup of coffee or freshly made mango juice, listen to the sound of tropical birds, the wind in the palm trees and in the distance the sound of the ocean waves? 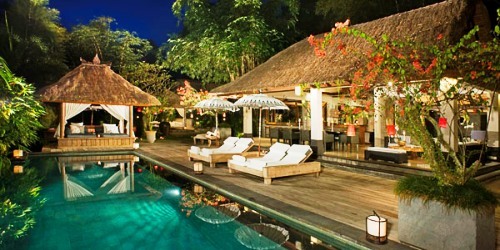 In Bali most villas come with dedicated staff who will make sure that all of your needs are taken care of. In addition to this service, we can make arrangements for excursions, like a visit to the local temples, horseback riding on the beach or anything else your heart desires. 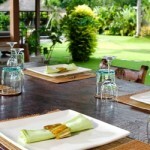 Contact us if you would like to experience Bali in the serenity of your own villa. We’d be more than happy to share the different options with you and make your journey an unforgettable one. A special ‘Thank you’ to BHM Villas for the beautiful pictures.